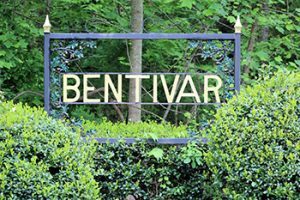 Bentivar is one of Albemarle County’s best kept secrets. Located off Polo Grounds Road, about 3 miles from Route 29, you’ll find beautiful wooded lots ranging from 2 to 21 acres. Bentivar gives its community the neighborhood feel while also large acreage. Bentivar is homes to 233 Residents. Houses in this neighborhood range from the mid $500’s to over $4,000,000s. Most lots are wooded but in Phase 1 several lots have mountain views. Bentivar was built several years ago, and is home to some of the most beautiful custom homes in Albemarle County. The area was founded by the Carr family in 1790. There are still many homes that were built in the earlier times. However, there are also homes that were built closer to the 2000s. The oldest estate in the neighborhood was built in the 1830s. Bentivar has beautiful views and large open spaces. It is truly an amazing neighborhood to live in.